The addition of fiber-optic technology to traditional copper HDMI cables allows for ultimate data transfer speed while ensuring zero data loss. See everything as it was meant to be seen regardless of the distance. Using HDMI2.0b technology, audio and image have never seem sharper. Smart synchronization and ultimate high-resolution makes for the most immersive viewer experience available. The ubiquitous HDMI connector makes for a seamless, worry-free installation. We strive to take you where no one could go before. Our specially engineered copper/fiber-optic hybrid cable allows us to offer cables up to 300 meters with high-speed data transfer capabilities and zero data loss. This is no common HDMI cable. Supporting the latest HDMI 2.0b standard, the introduction of fiber optic technology allows for the best performing HDMI cable in the market, ensuring high-speed data transfer without any data loss. 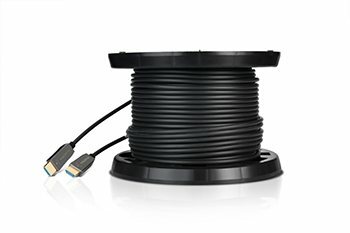 Our specially engineered fiber optic hybrid HDMI cable offers the best interconnection solution available. 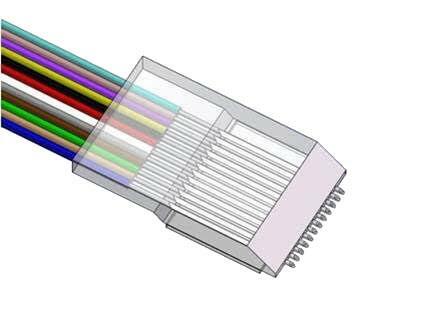 By using a hybrid fiber optic and copper cable, HDR Link ensures the maximum 18.6 Gbps high-speed, high bandwidth signal transmission with the absolute minimum of digital signal loss. Fiber optic technology allows for connectivity even over extremely long distances, impossible with traditional copper HDMI cables. From commercial display installations to the high-end home theater, HDR Link Fiber Optic HDMI cables guarantee a flawless video transmission across any distance. Fiber optic technology allows high-speed data transfer without data loss over long cable lenghts. 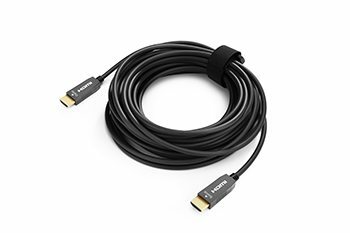 Adding optic fibers to an HDMI cable makes it faster than ever to transfer information and connect devices while offering unparalleled accuracy. Allowing for more than 1 billion colors with the 10-bit color space, High Dynamic Range (HDR) will enhance your viewing experience; allowing you to see every detail as it was meant to be seen. Trust your high definition content will project easily and neatly with HDMI cable that features a bandwidth of up to 18.6 Gbps. Coupled with the availability of 32 audio channels, 1536 kHz audio frequency and dynamic synchronization of audio and video streams, HDR Link delivers an immersive video and audio experience that captivates the audience. HDMI 2.0b technology allows for simultaneous delivery of multi-stream audio and dual video streams on a single cable. Enjoy your cinema with true wide angle theatrical 21:9 video, ensuring you and every person in your audience has the most immersive experience possible. The specially engineered coupling features a 45-degree fiber array that translates the optical transmission and encoding from the electric signal, ensuring a clean signal for years to come. Supporting video resolutions of 1080p and up to 4K2K (60p), as well as Deep Color (4:4:4), our HDMI cable technology makes for the richest, sharpest image projection capabilities available. This is no common HDMI cable: Besides featuring the latest HDMI 2.0b technology, the introduction of Fiber Optic technology allows for the best performing HDMI cable in the market, ensuring high-speed data transfer without any data loss. Combining the high speeds of fiber optic and the fidelity of traditional copper cable, our hybrid copper/fiber cable allows for a crystal clear image without signal loss regardless of cable length. You can have complete confidence that it will work with the demanding standards for 4K and HDR. Fully compliant with the HDMI 2.0b standard, this cable solution supports HDR, ARC, and HDCP. Our specially engineered converter is designed to use the 5V power passed over the HDMI cable, eliminating the need for any external adapter. Image and sound have never looked better with a cable that supports high-definition audio and HDR color video. The best choice for every installation, from exquisite home theater systems to digital advertising displays or conference room equipment. 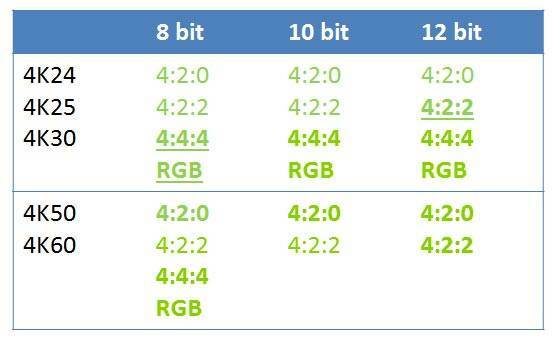 Allowing for more than 1 billion colors with 10-bit color space, HDR color is a reality that will enhance your video watching experience. 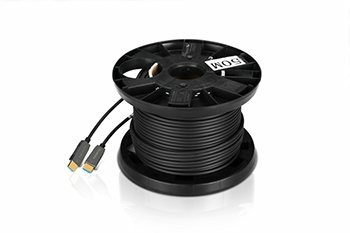 Lightweight, flexible, ultra-small bending radius (up to 52mm) and exceptionally long cable lenghts makes for an easy installation in even the largest installations, making Fiber-optic HDMI the best choice for residential and commercial projects alike. Whatever your goal is, our technology helps you get the most out of your equipment: from the ultimate home cinema, to the demanding commercial installation that requires reliable performance and the highest fidelity, HDR Link Optical HDMI offers the best connectivity solution in the market. The premier HDMI solution in the market, our long-reach cables allow you to enjoy high-speed data transfer with excellent performance every time. Combining the trustworthiness of traditional copper and the ultimate technology and data transfer properties of fiber-optic cables, HDR Link makes it possible to transfer high definition video and sound at the speed of light while easily connecting equipment up to 300 meters away. HDR Link Optical HDMI is the perfect solution for everyone from the demanding home owner with a top-of-the-line home theater to the commercial installer expecting reliability for years to come. Using the ubiquitous HDMI connection, we make possible to incorporate the latest technology into your everyday life. 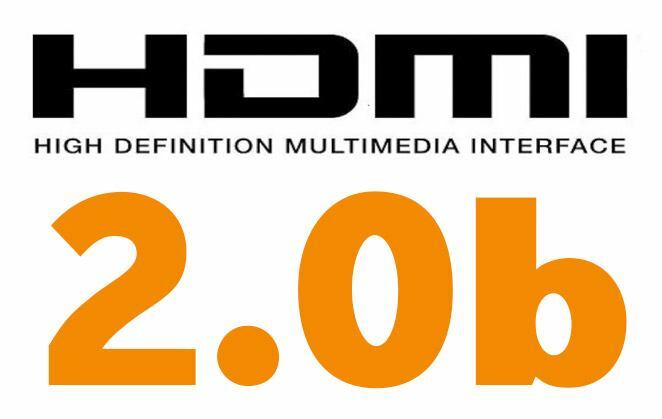 HDMI 2.0b improves on the already familiar technology, going beyond high definition, so you see the content as it was meant to be seen. HDR Link cables offer the ultimate in HDMI cable innovation, improving on the strengths and eliminating the usual limitations of traditional HDMI copper cables. Fiber optic makes it possible to transfer everything at the speed of light, with minimal data loss. Make your cables adapt to your space, not the other way around! Worrying about equipment placement will be a thing of the past. Our hybrid technology allows to bypass standard copper cables maximum length while preserving flawless picture quality. You need top-of-the-line image and video quality everywhere, and our cables are built with a demanding audience in mind. Whether you need to connect equipment in a small room, or in a stadium, we’ve got you covered! Our different cables come in the right size for any job: small or large, you’ll always have the right length for your needs. Want a special size? Give us a call and we’ll arrange for a tailor-made cable to fit your room and particular needs; we offer everything from 10 to 300 meters! Even at lengths where a standard copper HDMI cable starts failing and loosing data, our specially engineered technology with it’s ultra-low power copper to fiber optic coupling allows for flawless data transfer, high-speed performance and ultimate high-definition rendering that will take you where our competitors can’t even dream reaching. © Copyright HDR Link. All Rights Reserved. 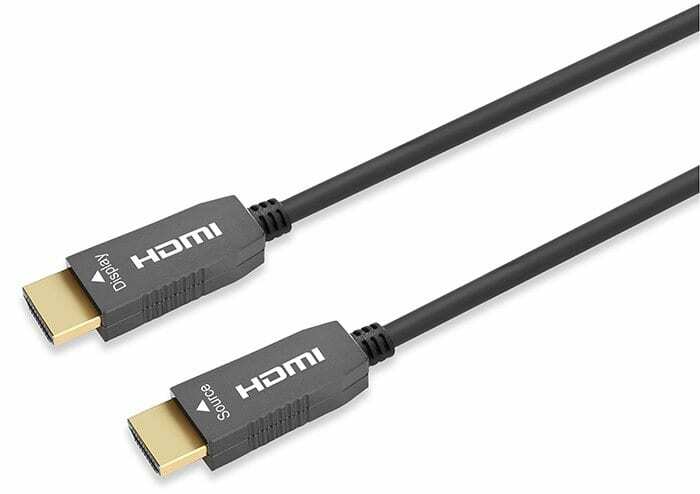 This HDMI Active Hybrid Cable is the most competitive long reach HDMI interconnection solution on the market. It supports HDMI 2.0b Maximum Data Rate 18.6Gbps with light weight, flexible and ultra-small bending radius (52mm) cable. With our advanced optical engine, this HDMI Hybrid Cable provides full HDMI signal integrity up to 300m maximum length with no external power required. HDR content preserves details in the darkest and brightest areas of a picture and allows for more natural, true-to-life colors that are closer real life. What this means is that 4K Ultra HD devices that incorporate HDR technology are capable of displaying a much wider range of brightness and contrast. 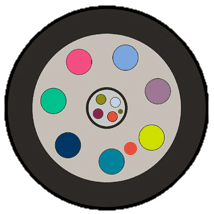 However, in order to fully take advantage of this enhanced capability, the content being viewed has to be encoded with the necessary HDR metadata and the cable needs to be able to handle the signal bandwidth. All HDR Link Optical Cables are certified to carry the full 18.2 Gbps bandwidth up to 300 meters. Video Bandwidth 6 Gbps/x3Channel (max) (R/G/B) + Clock.